Product #46439 | SKU DFC-100-CNB5L | 0.0 (no ratings yet) Thanks for your rating! 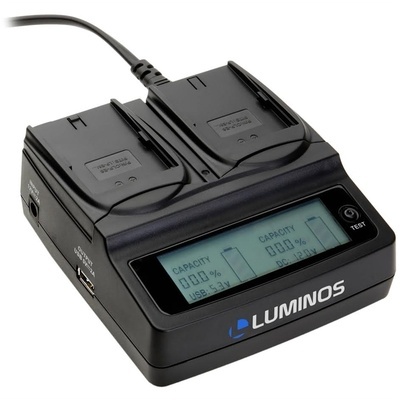 The Luminos DFC100 Dual LCD Battery Charger charges 1 or 2 batteries dedicated interchangeable plates, which are required and available separately. This version is supplied with 2 x Canon NB-5L type compatible charging plates.